MIDDLEBURY, Vt. — With His Holiness the 14th Dalai Lama scheduled to appear at Middlebury College on Oct. 12 and 13, the college has scheduled a number of public events to commemorate his visit. The epic biographical film “Kundun,” written by Melissa Mathison and directed by Martin Scorsese, will be screened on Wednesday, Sept. 12, at 8 p.m. in Dana Auditorium. On Thursday, Sept. 20, at noon, the Christian A. Johnson professor of art history, Cynthia Packert, will present a slide lecture titled “Portraits of Compassion: Images of Lamas in Tibetan Art.” The event will take place in McCardell Bicentennial Hall, Room 220. Tenzin Ngawang, a master of Tibetan music and dance, will present two workshops on Sunday afternoon, Sept. 30. Pre-registration is required and space is limited. Priority will be given to Middlebury College students. Please contact Ellen McKay in the Office of the Chaplain (emckay@middlebury.edu) for more information. 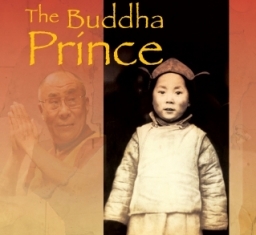 Later on Sunday, Sept. 30, the documentary film “Buddha Prince Backstage” will be shown at 7:30 in Dana Auditorium. On Monday, Oct. 1, Markell Kiefer, the director of “Buddha Prince Backstage” and a member of the Middlebury Class of 1996, and Tyson Lien, one of the performers and a 1998 Middlebury graduate, will discuss their process of original theatre creation and collaboration in a workshop from noon to 2 p.m. Advance registration required; contact Ellen McKay (emckay@middlebury.edu) for more information. Professor of Religion William Waldron will present a lecture titled “What Is a Dalai Lama and Who is the 14th Dalai Lama? The Buddhist Historical Context” on Friday, Oct. 5, at 12:15 p.m. in Dana Auditorium. Also on Friday, Oct. 5, the college will show the film “The Fire Inside: Place, Passion and Primacy of Nature” directed by Phil Walker and co-produced by Rebecca Kneale Gould, associate professor of religion. The screening will be at 7 p.m. in Room 229 of the Axinn Center. After the film there will be a panel discussion and question-and-answer session with the director and co-producer. The public events related to the Dalai Lama’s visits are free and open to the public. Some events require pre-registration as noted above. Tickets to see His Holiness the Dalai Lama are sold out. Live video feeds will be provided to both Dana Auditorium and the McCullough Student Center Social Space during both of his talks. Seating for these on-campus video viewing areas is free and open to the public, and is available on a first-come, first-served basis. The lectures will also be streamed live online. This link will be live a few minutes before the lectures begin: http://go.middlebury.edu/dlstream.